An occupation outside of Goldman Sachs CEO Lloyd Blankfein’s house is in progress in New York City at 61st and Broadway. So, head on down and show your solidarity! 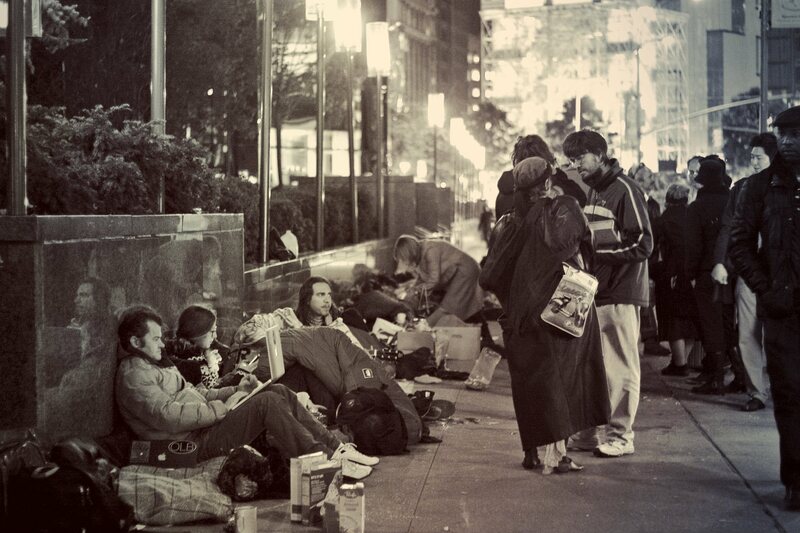 Join and support online as well here: Occupy Goldman Sachs. Goldman Sachs Group, Inc. is a multinational investment bank founded in 1869 and headquartered at 200 West Street in Lower Manhattan. Leading up to the 2008 financial crisis, Goldman Sachs engaged in some of the worse financial fraud the world has ever seen, including packaging and selling billions of dollars in subprime housing derivatives and other worthless securities to small and mid-level investors while hiding the fact that they were simultaneously betting against these same securities. Through such fraud Goldman Sachs decimated the 401(k)s, pensions and mutual funds of thousands of Americans. Despite blatantly vilating the Securities Act of 1933, which “prohibits deceit, misrepresentation, and other fraud in the sale of securities,” and despite a 650-page Senate subcommittee investigation report accusing them of defrauding clients, not a single official of Goldman Sachs has been prosecuted. Rather, the corporation was rewarded, receiving more government bailout funds than any other investment bank. Goldman Sachs then used this taxpayer money to give its senior executives a staggering $44 billion in mega-bonuses between 2008 and 2011. 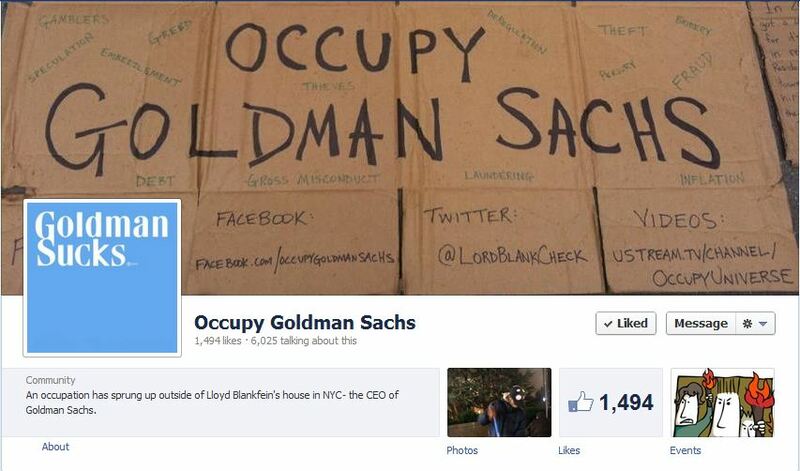 Chris Phillips is the moderator of Occupy Goldman Sachs facebook page and the creator of it’s events. Anyone asking Chris Phillips why he got kicked out of Occupy Buffalo for lying? Anyone asking Chris Phillips why he created a donation page for an Occupy Community Center and then embezzled all the funds? Anyone asking Chris Phillips who is perpetually homeless, why he stayed with Occupy Lockport (DeniseInBuffalo) creator’s home, took their offered money, stole from them and then when they called him out called them traitors? Anyone asking Chris Phillips why he got his ex (Christina Cooke) kicked out of her own apartment because he trashed it and most of her belongings? Anyone asking Chris Phillips why he had to leave Buffalo? Anyone asking Chris Phillips why he got kicked out by Gene at Occupy Storefront for lying and trying to hack their facebook page? Anyone asking Chris Phillips why he claims he couldn’t even show up at the event he created for OGS because of his helping out with Occupy Sandy when he was actually vacationing in Asheville, North Carolina? Hi Darren. We ask that all ad hominem rants (especially those with a slight tinge of crazy) posted here in the comments use correct punctuation. It’s means “it is.” “It’s” is not the possessive form of it. The possessive form has no apostrophe. Its’ is not a word – so don’t try that one either. Reblogged this on (Un)Occupy | Decolonize | Liberate.